I think this might just be one of the best gift ideas. Not only it is beautiful, but it is cheap to make, takes only 2 steps to create and it is easy to customize depending on the occasion. Of course, you could create these for yourself. We love using them as table decorations when we invite family or friends over on special occasions. 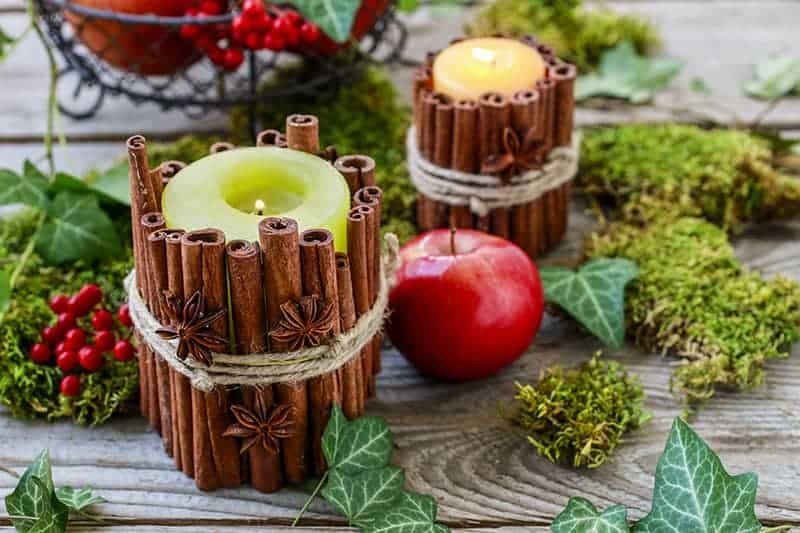 You can image what beautiful aromas these candles have – I love the smell of cinnamon sticks! 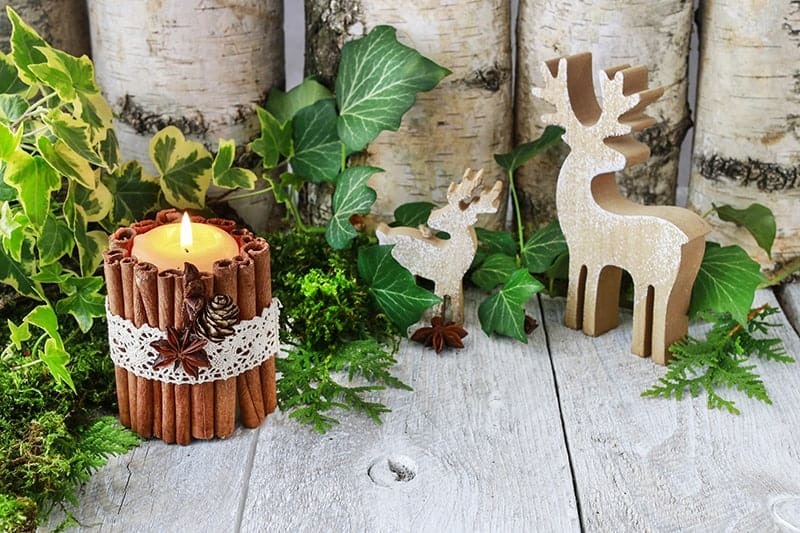 Find below the steps to show you how easy it is to whip up these beautiful candle gifts. Optional: Ribbon, Lace, Star Anise, Baby Cones etc. 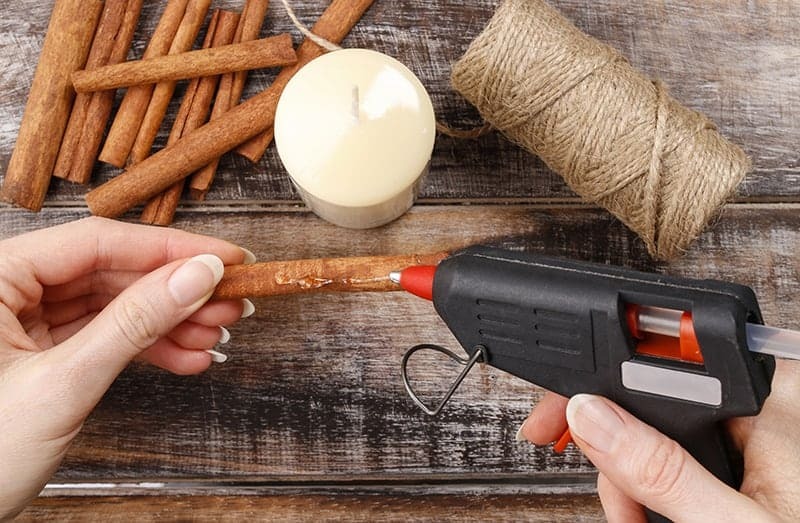 Step 1: Heat up your glue gun and simply stick your cinnamon sticks onto the candle with some hot glue. Repeat until you have covered the whole candle. 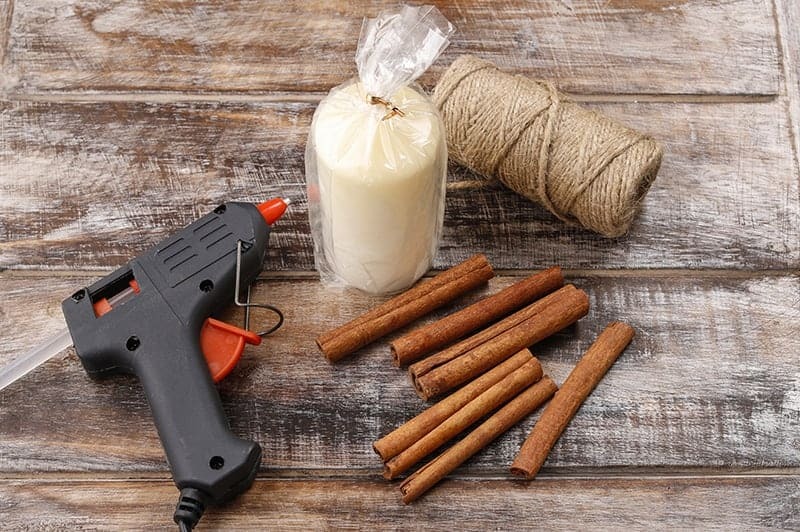 Step 2: Cut off a long piece of the twine and wrap it around your cinnamon sticks a few times, before tying it in a bow. And that might possibly be one of the quickest and easiest DIY gifts that you have ever made!? And how effective does it look! 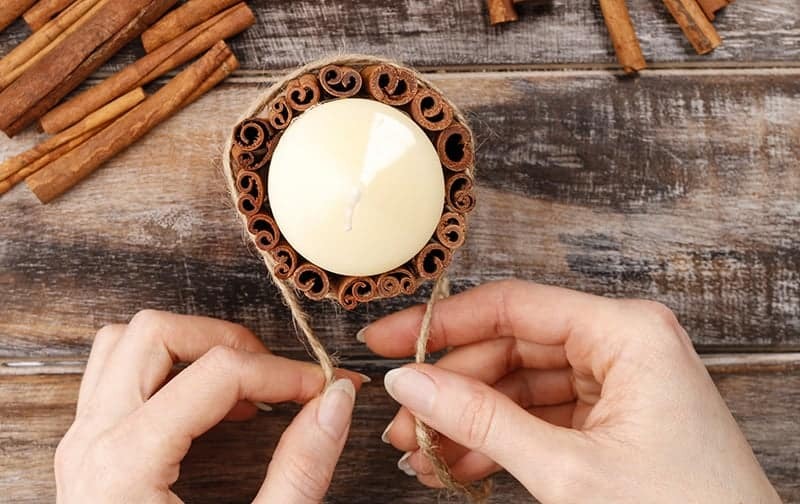 Now how about we show you how you can add some beautiful variations to this candle. You can easily theme it for any special occasion. Use a red candle instead of the white. 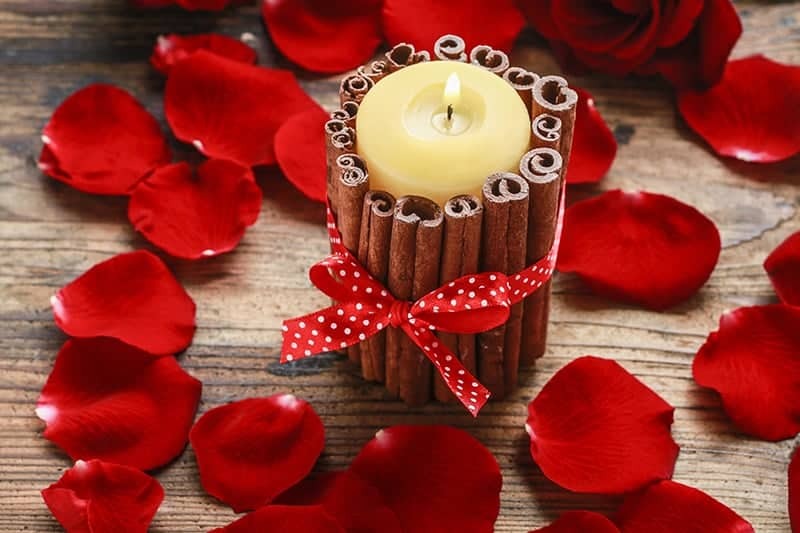 Use a red bow to tie off the cinnamon sticks. Super easy, super sweet and perfect for that someone special on Valentine’s day. Take your basic candle idea one step further. Use a lovely colored candle in the center. Follow the tutorial above, but instead of tying a bow with the twine, think about adding some knots instead. Then add some beautiful Star Anise. 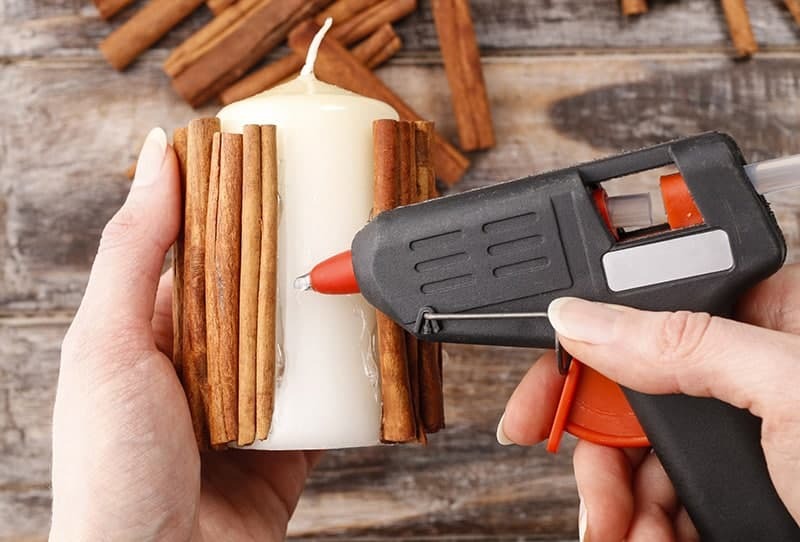 You can simply use your hot glue and glue them onto the decorated candle. Step up your game with these simple additional extras. Use a lovely soft cream colored candle. 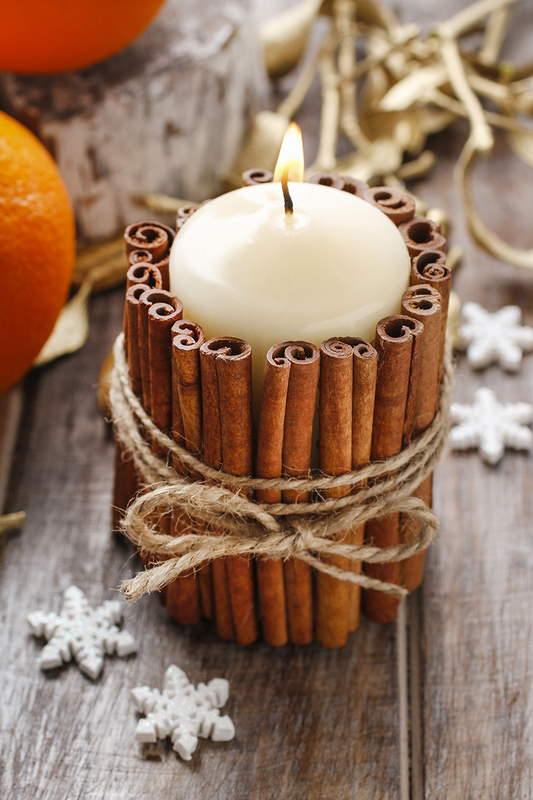 Surround your candles with cinnamon sticks. This time tie it all together with a beautifully soft piece of lace. Embellish the candle with 2 Star Anise and one baby cone. 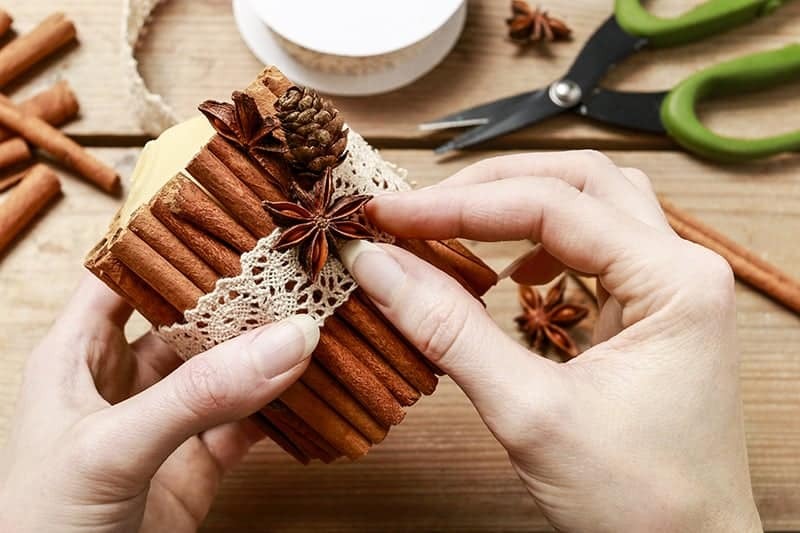 Super elegant and perfect as a Christmas DIY gift. Now, all you have to do is to prepare it for gifting. 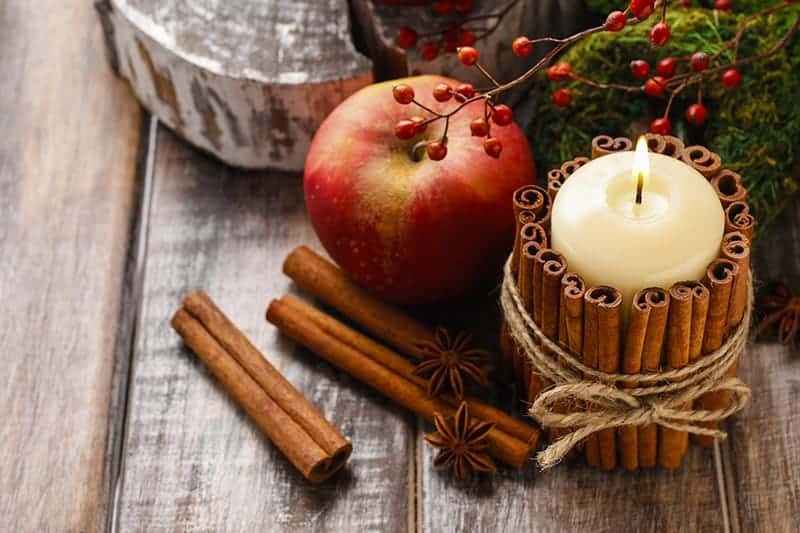 I love pairing up the candle with a few other bits and pieces, such as a nice packet of bath salts, or a gift card to a cooking store or a voucher for a spa treatment. Simply wrap it up in brown paper, tie it together with some twine. We love using our die cutting machine to simply whip up some beautiful die cuts. You can stamp a birthday message on the die cut, punch a hole at the top and add it to the twine as your birthday card. These are fabulous, aren’t they? We are so might chuffed with this idea and I hope you love it too.